While you are playing a game (say rubik’s cube), each state can lead to multiple new states after user makes a move. Or in a graph path finding, one can choose multiple nodes from a given input node. Such situations can be represented by a game tree (graph). Each state can result into multiple new states (will come to the numbers in a moment). The question is, which next state to choose. A* (A-star) Search algorithm can help me make a choice. We need to understand the following terms before we try to understand the algorithm. Open Set: Set of moves not evaluated yet. Score/ Priority: higher (in some case lower) the score, the closer we are to the solution. Score can be calculated based on problem we are trying to solve. For example in rubik’s cube, it might be the number of boxes/ rows already matched (say 10 indicates 10 rows of colors matched, will get higher priority than a state with score 7). 2. If current state is solution state, return success and exit. Else move on to step 3. 4. Add current state to closed set. 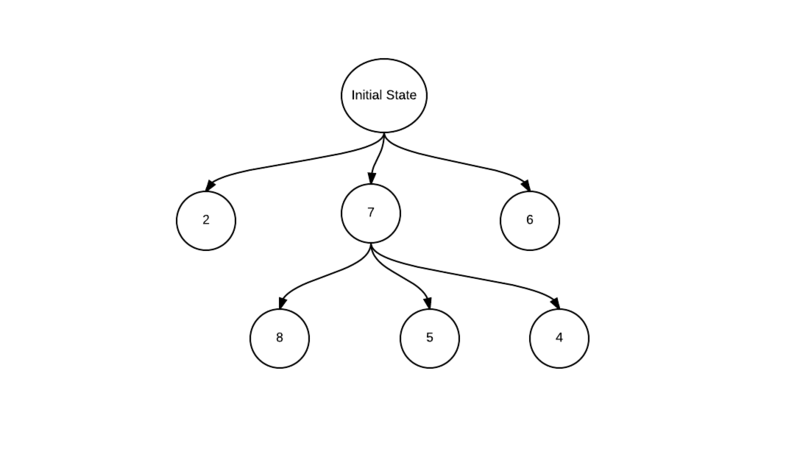 5. set an open state with maximum score as current state and remove from open set. This entry was posted in Algorithms and tagged Algorithms on October 5, 2015 by admin.